eBay is planning to offer a tool that gives sellers the ability to create their own first party ads. eBay is hungry for ad revenue after making a seismic shift this year in which it removed third-party Product Listing Ads (PLAs) that led shoppers off-eBay and onto retailer websites. The latest move from eBay echoes similar moves by Amazon and is one Merkle predicted, as we reported last month. eBay already allows sellers to run Promoted Listing ads - they choose the listings they wish to promote, set their ad rate, and launch the campaigns. "First-party advertising allows eBay sellers to separate themselves from the rest of eBay via organic, native ads. These are display ads that allow sellers to advertise their products within eBay's website. 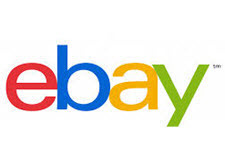 They appear in the website as other ads would, but have eBay branding and items, allowing buyers to stay on-site and continue their shopping experience with eBay. "The key benefit of this tool is allowing you to create and manage your own ad campaigns, without having to use an eBay account manager. Your costs will depend on your campaign performance - cost per click or cost per sale." Some readers are against such ads, believing that because they pay listing fees, they shouldn't have ads distracting from their listings. One reader who isn't happy with ads that appear on eBay told us, "Instead of our listings being direct, easy to understand and buyer friendly, eBay has turned our pages into click-bait madness. Seller-generated or not, the avalanche of ads and links on our listing pages is now beyond the nuisance level, cluttering up our listing description and photos, confusing buyers and making it near impossible to determine the nuances of our offerings." But many others are open to the idea of advertising - if it generates sales. Much of it depends on the type of items they're listing and the margin for those items. eBay has gone back and forth over the years about its thinking on seller ads. For example, in 2010, it eliminated two programs: the AdCommerce pay-per-click advertising program and the Featured First program that allowed Top Rated sellers to pay for top placement in search results. At the time, eBay said it was discontinuing the Featured First program "so that the listings most relevant to a buyer's search from sellers who provide great value and service are surfaced consistently at the top of search results-the underlying goal of Best Match." I received 3 returns and a much later than promised amazon package on Sunday. The ''prime'' package, purchased on Dec 13th and promised by the 20th was delivered on the 26th. I am not a prime member, I have no idea why it was sent prime, but could be because it was not even mailed until the 20th. I will not be ordering any FBA Christmas items next year, all my son's games that were from sellers arrived within a couple days standard, ALL items from Amazon FBA were late. I added some promoted listings in desperation last week, the ''trend'' was nearly 10% it was ridiculous. I did not go 10% except on 2 items that if they did not sell this year would be garbage. They did not sell and that was with best offer, on promoted listings, rock bottom price and markdown sale! I just do not see how ''promoted listings'' is working, I mean they can't even get this product we are paying for to give a status of the success (or failure). I have still not spent more than the credit I am given in any quarter so far. At least on outside ads, I could purchase ads on shopping.com and then set my website prices lower and got a good amount of sales from that (on my website). This is unusual for me. I was searching Google shopping for a similar coat to one I was selling on Ebay, just to price compare, and voila! I found my coat listed. Thank you Ebay. I don't know how it happened since I'm not paying for ads, but it was there. I'm going to spend time today and see if there are more listings in Goog. Featured First was a great program, and I didn't mind paying for it because it produced positive results. I used as a showcase, and that strategy worked well. Featured First was just that. I paid a flat rate of $20 per item and that item indeed did appear first in search results. I will not pay for Promoted Listings because placement is far too random and the fees are outrageous. Bring back Featured First, and I'll participate. If there was a guaranteed that sponsored listings would appear across the internet, aside from Ebay, then I would do it. In other words, like AMZ and Tradesy, you see items floating across the screen. But if sponsored listings is only within Ebay, what's the point? Off topic: I belong to the Shopify forums and today as I often do, they sent out a list of web-etailers that were for sale. I am listing them here. It just goes to show that having a webstore, website, web anything does not guarantee success. Being online trying to get business going is tough.